I got my hands - finally - on an edible orchid so I just had to do a Tiki Drink, right? 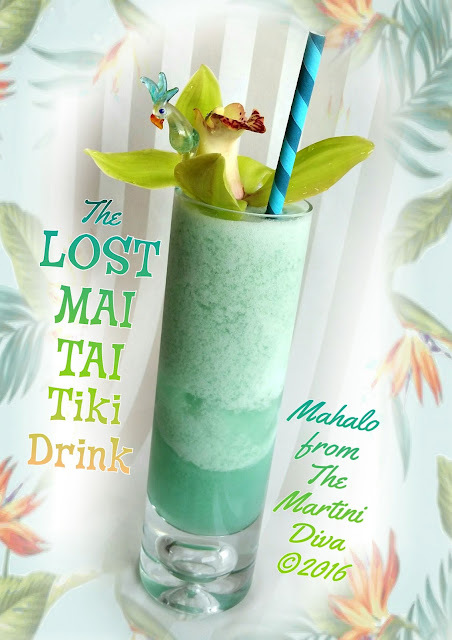 Based on the classic Tiki cocktail, the Mai Tai, I've again played with the rules - a lot - and had a little fun with a classic. Mostly because I was out of Orange Curacao and only had the Blue variety on hand and, dammit, I wanted to use that orchid before it died! 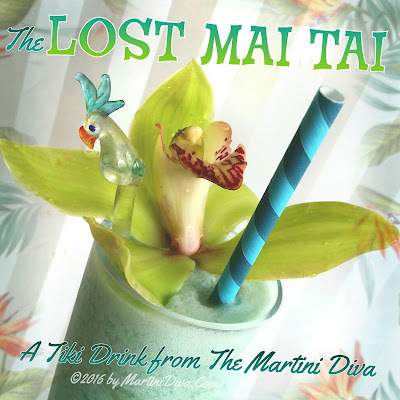 So, in the true spirit of Mai Tai, which supposedly got it's name when a patron declared “Maita'i roa a'e” ("very good" in Tahitian), here's a Tiki drink that will knock your tie off. 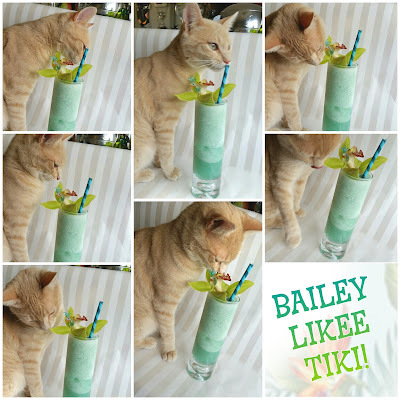 GLASS: Fun Tiki Glass or whatever. Add the ingredients to a blender and give them all a nice whirl until they're all blended together and slushy. Pour into your chilled glass, garnish and serve. Take your tie off before drinking and put it somewhere safe. Or not. Just in case you're not in the mood for a smart alec-y cocktail and want to try the original Mai Tai, here's the original Royal Hawaiian Hotel recipe.